Developing the ability of the Sky Eye is not the most important thing in Qigong, but might happen when you keep practising. The first thing we need to do is make ourselves healthy, as without good health we cannot do anything. When we are ill we spend most of time making ourselves well instead of doing things we want to do. So being unwell only slows down our personal development. 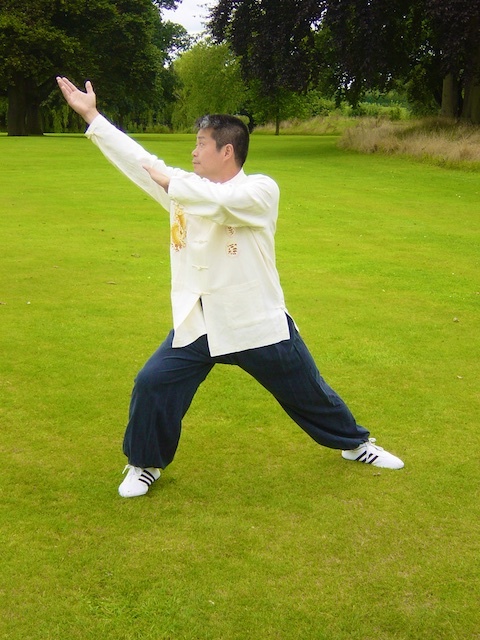 In order to be healthy and look after our health we practise Qigong. This will develop our Qi and allows the Qi to work for us, to maintain our health no matter what the situation. Developing Qi is based on certain principles. If we can do all these things, then we can develop Qi. There are also two parts to Qigong training, one is movement the other is mediation and we must practise both. We should always practise movement first. The best thing to do is a warm up first, like our Level 1 warm up, and then some Qigong movement. At the end, we must practise mediation which will help us to store our Qi. The first Qi will be stored at the Lower Dantian. Then the more we have it will start to rise up to the Middle Dantian and then when we have even more it will rise up to the Sky Eye. But this takes time and happens step by step.